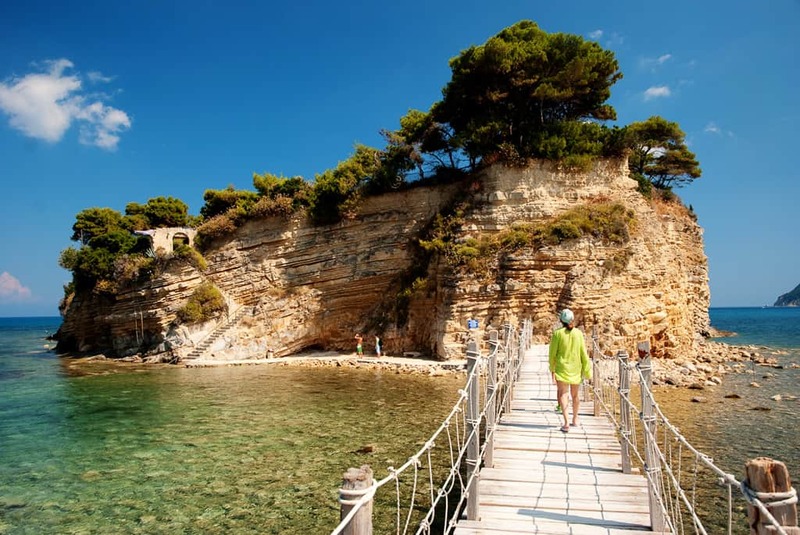 If you like an active holiday in beautiful surroundings you cannot do better than the picturesque Ionian island of Zante Greece, also known as Zakynthos. 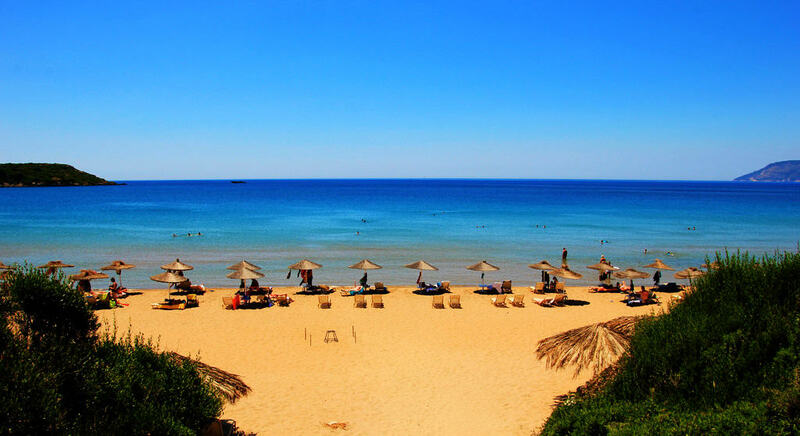 Called Flower of the Orient it has long sandy beaches and crystal clear waters which are perfect for all types of water sports. In Alykes Bay you can go jet skiing, paragliding, water skiing or take out a pedaloe. You can even skim over the water riding a banana! 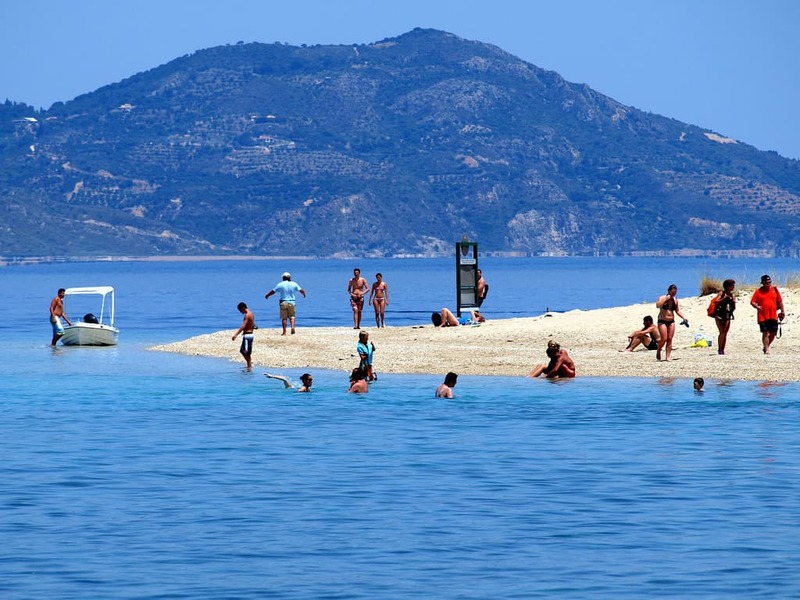 There are several diving centers on Zante Greece that cater for all standards. Introductory courses for beginners are held daily in the summer whilst experienced divers can actually gain their open-water advanced rescue certificate on the island. 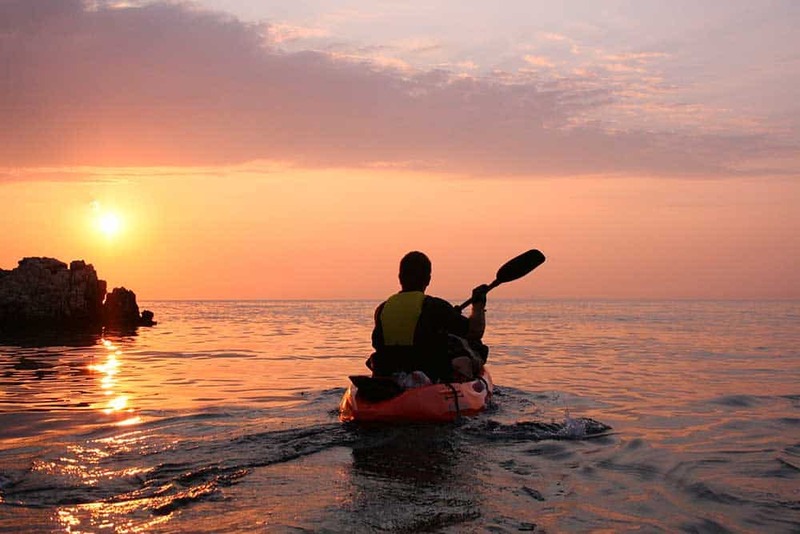 You can also enjoy amazing sea tours by participating in a sea kayak trip. If you are a keen rider what better way to explore this lovely island than on horseback. You can take out a horse and ride round the peaceful terrain at your will. Beginners can also take part in equine activities as well as they are always welcome on a horse-breeding farm that has been in the same family for generations. If you prefer two wheels to four legs there are places where you can hire a bicycle for a day or a week and explore the island that way. 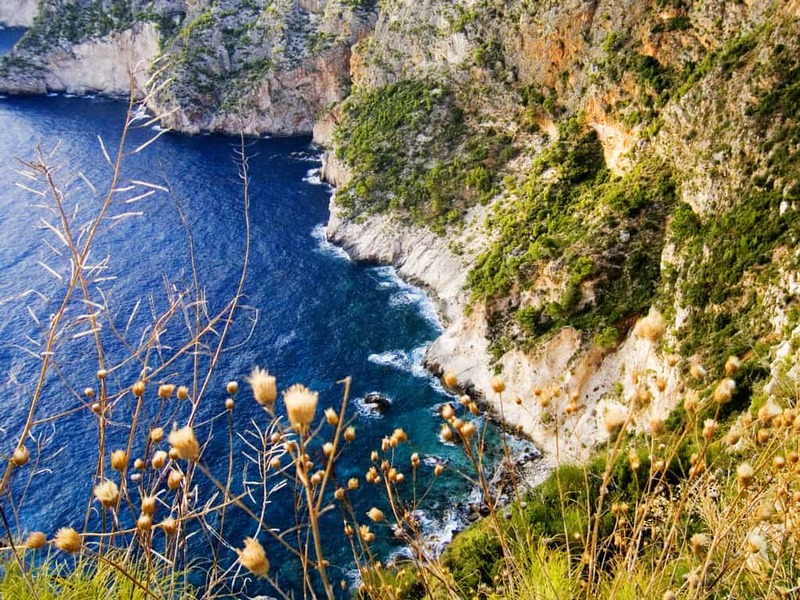 There are also many hiking trails that will give you great views of the ocean below and the tiny villages on Zante Greece. You can climb high among the pine trees where you will find secluded cafes to take a break from your climb. 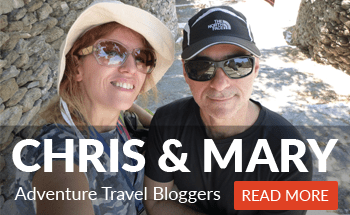 Bonus: Read about Kayaking experiences in Zante Greece and a personal story from Nick Bowley while he is sailing through Ionian sea. 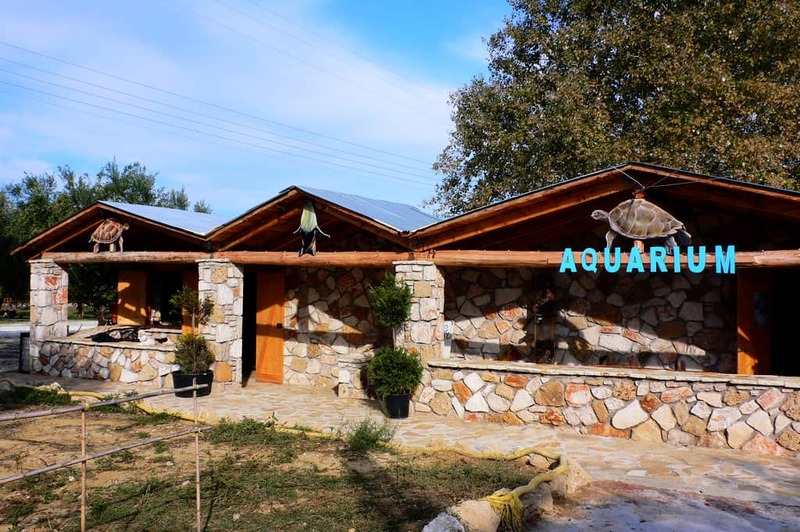 Zante is surrounded by pine-covered mountains and also has a National Marine Park where volunteers work hard to protect the endangered species of turtle the Caretta-Caretta. A forest fire burst out a few years ago but the island is so full of green that covers that misfortune. 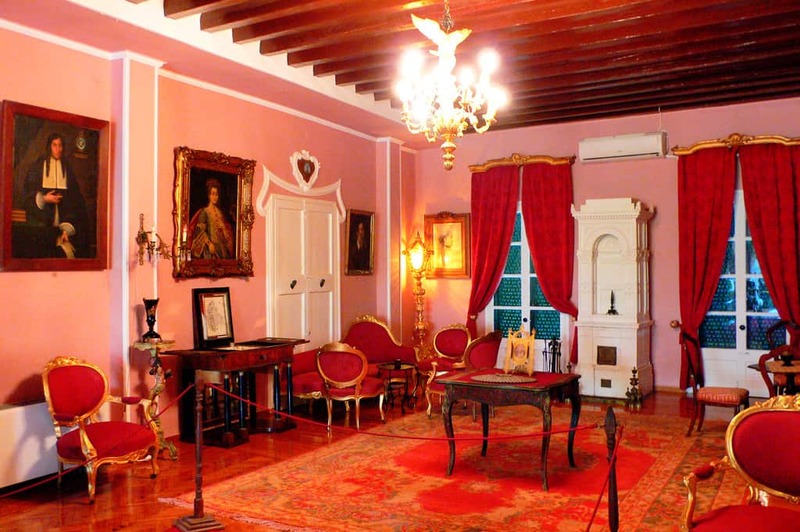 One “must see” place on the island is the Medieval Venetian Castle which overlooks the town. 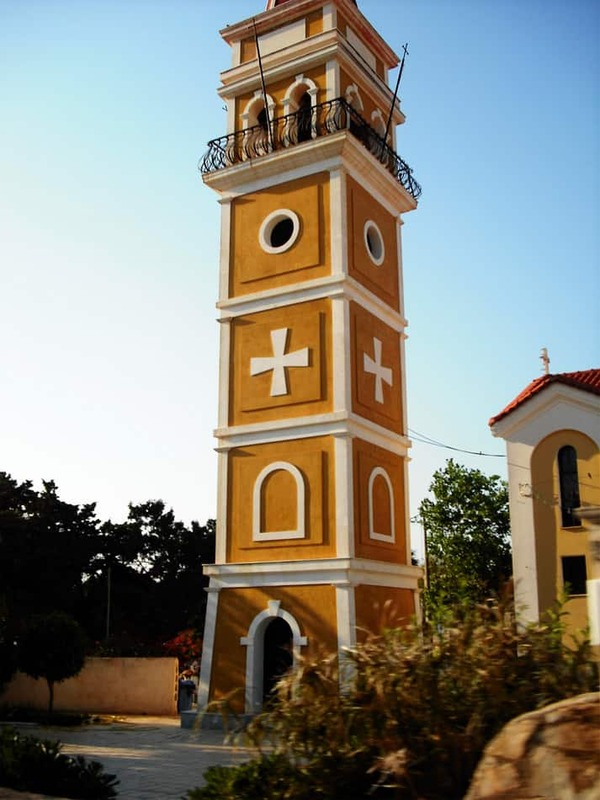 Situated 2km from the city the bell acts as the town clock. 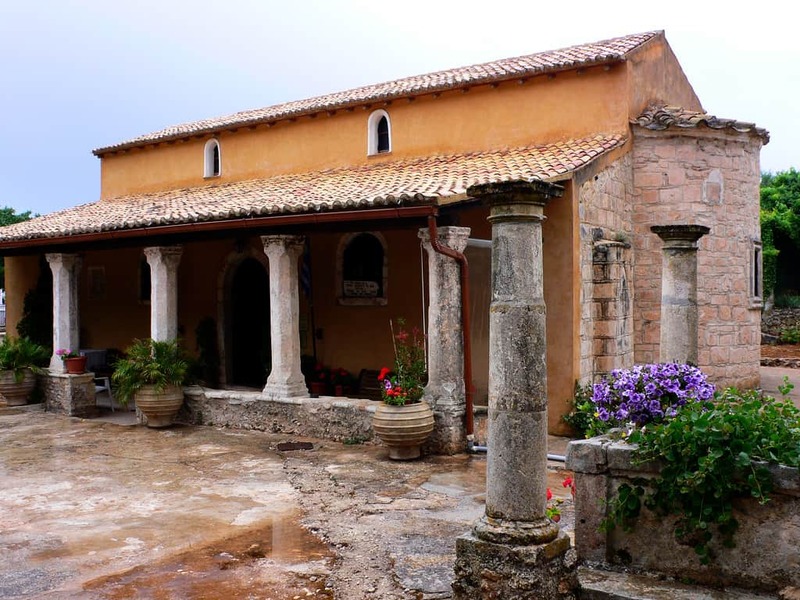 The original castle was demolished by the Turks in 1480 and the islanders strived to rebuild it but it was not until 1515 it was rebuilt with the help of Venice. 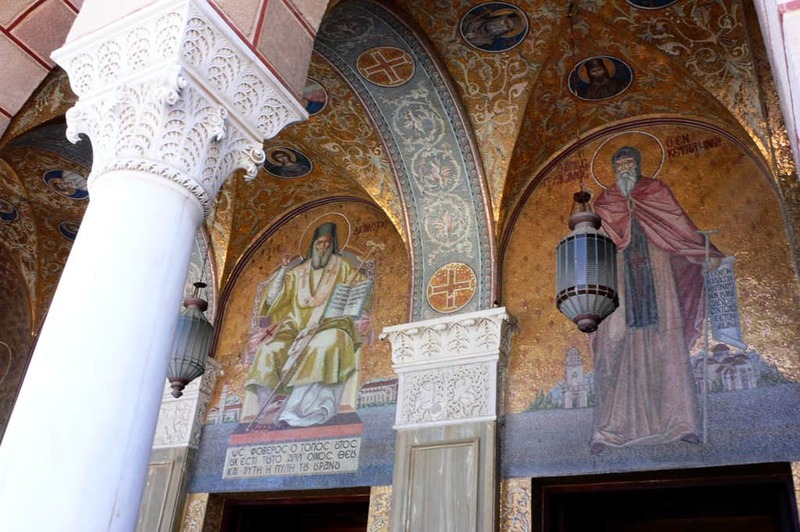 The Lion of St Marks which is the symbol of the Italian city can be found on the castle’s Ashlar stone walls. 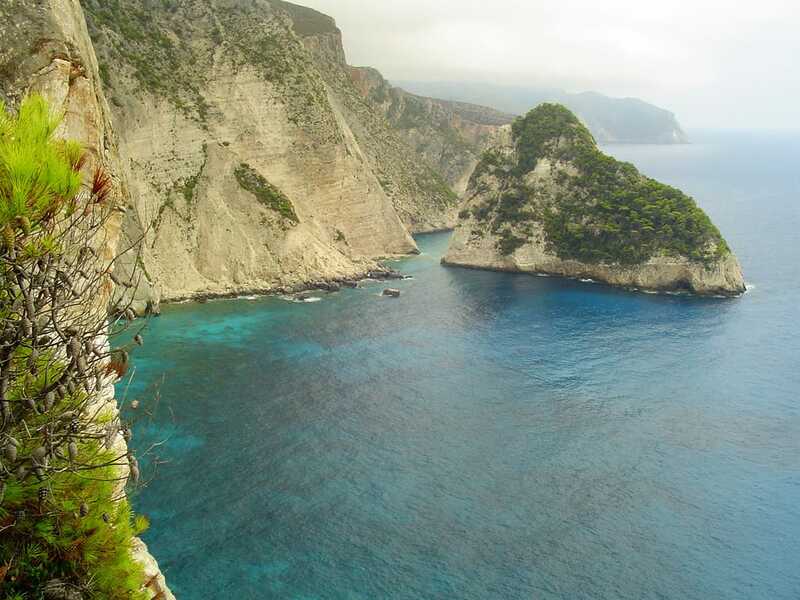 The views from the castle of the azure blue sea below and the green of the pine trees shows why Zante is considered the most beautiful of all the Ionian islands, if not the most beautiful place in the whole of Greece. It is humid all year round which is why everything is so green and fertile but it rarely rains in the summer months which are very hot and sunny. Temperatures in the winter are mild but it is rainy but it is still possible to undertake water sports all year round. 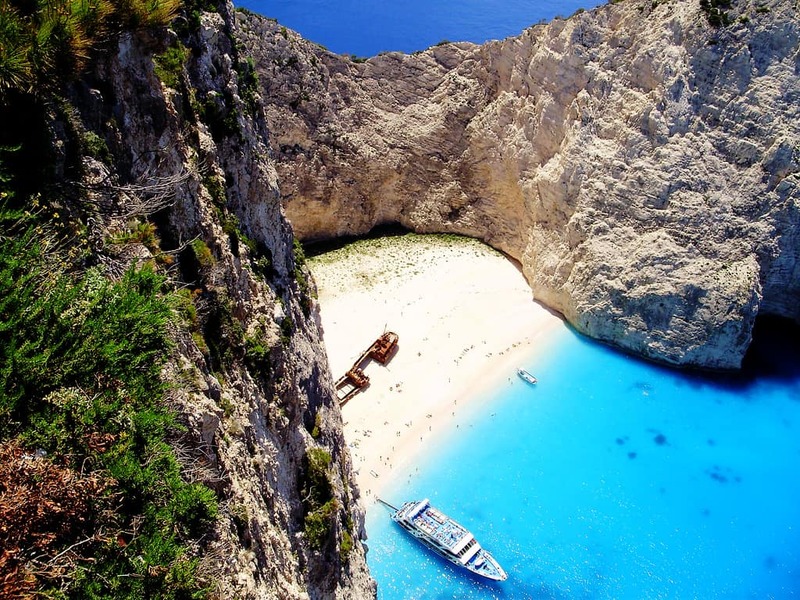 Why Zante is so unique is there are so many places to visit and things to do and the landscape changes in different parts of the island. 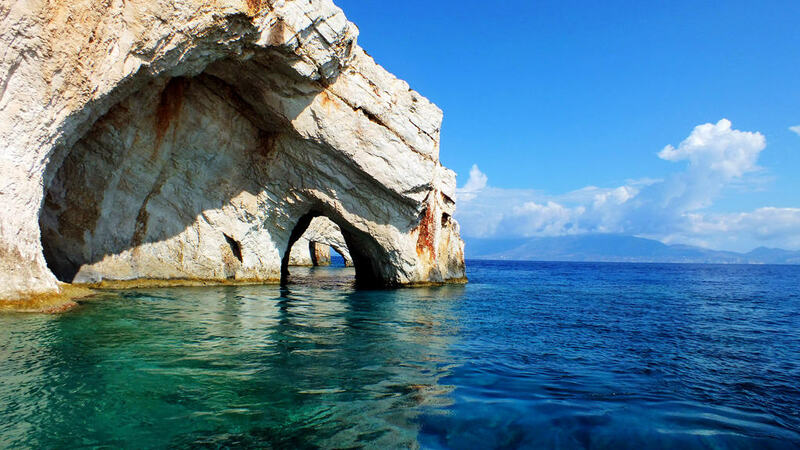 Places with such romantic names like Shipwreck Cove which has so many stories to tell and the magnificent Blue Caves. 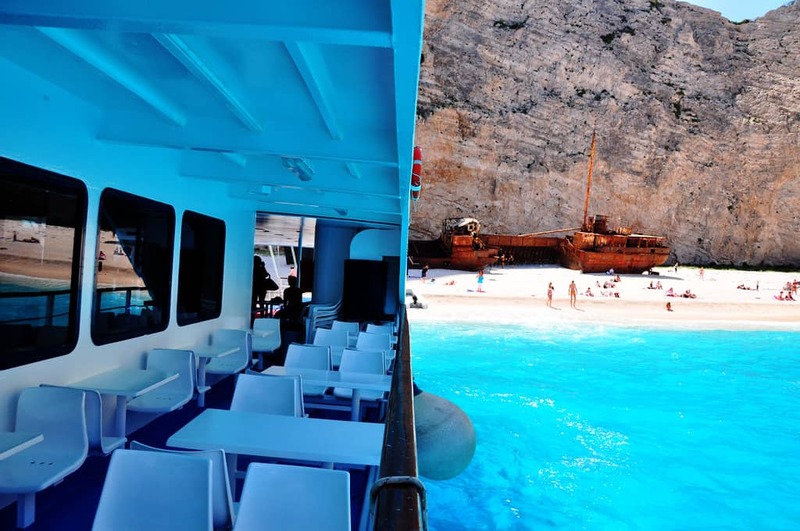 Shipwreck Cove is also known as Smugglers Cove although its correct name is Navagio Beach. 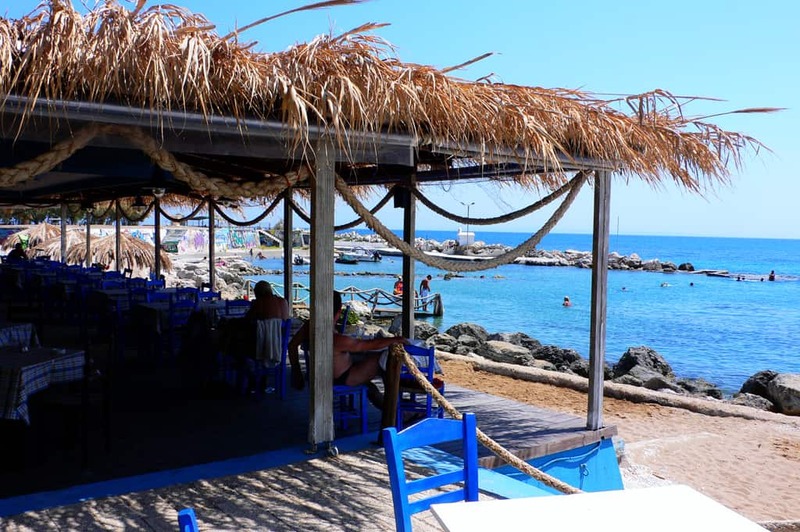 It is the most famous beach in Greece and hit the headlines all over the world kin 1980 when a boat being chased by the Greek Navy was shipwrecked on the rocks. It was suspected to be carrying smuggled cigarettes. This beach can only be reached by boat and you can imagine the smugglers who used it to bring in their contraband in days gone by. It also boasts the only beach on the island where the water is medicinal. 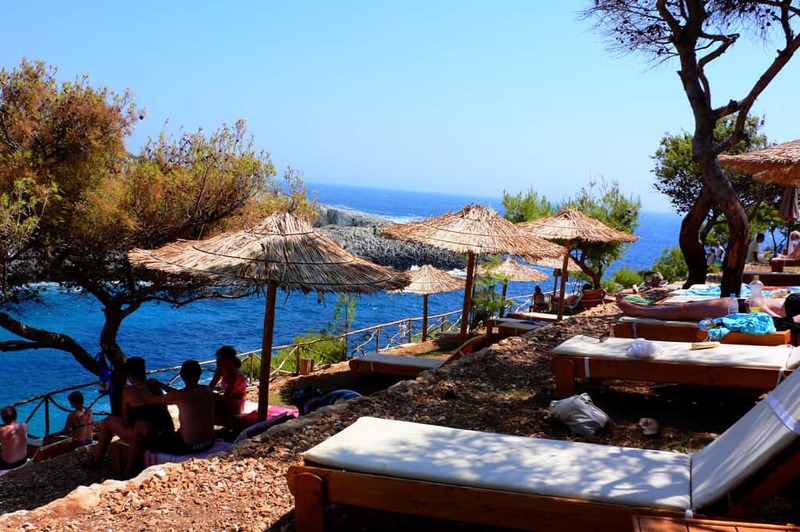 The sulphur and spa beach at Xigia lies in a small bay between the cliffs and the natural spring water flows down from the mountains into the turquoise blue sea. This spring water is full of collagen and sulphur and if you stand high above the beach you can actually see the white collagen floating on the sea. It is very good for your health and very relaxing to float in. Greece is a great place to visit with its white-walled houses and that is why the Greek islands are famous throughout the world. 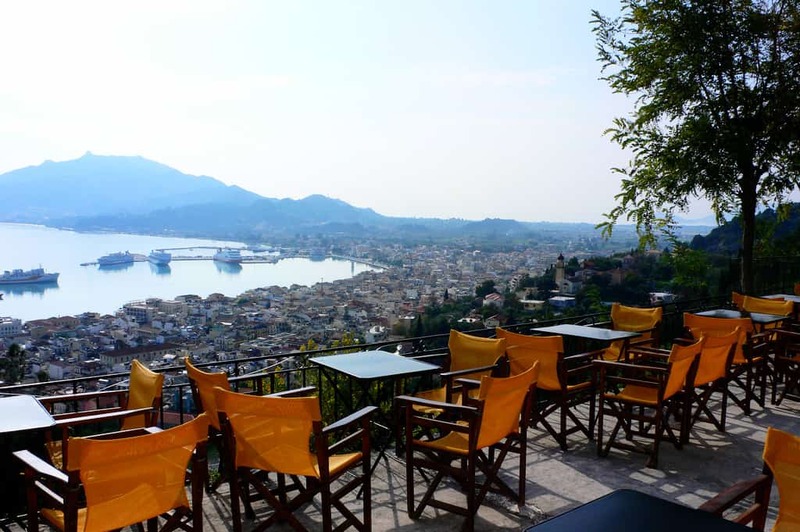 Going to Zante is a real adventure as there is something there that will appeal to every member of the family even if they have different interests.